websites are more than just bits and bytes. they're a storefront for one's business too! Here at Document Doctors, LLC, we aim to provide high-quality websites using the Weebly platform for a price all can afford. From simple websites to complex e-commerce solutions, we can do it all! Squarespace, Wix, & Wordpress are also available for clients. Please take a moment and review some of our current and past projects that have have assisted prior to and after our launch. Integrity Management & Consulting Group (Integrity MCG) is a full-service firm specializing in consulting services specifically for managers and executives. Their speciality is in virtual consulting where most consulting is done through the use of technology. In-person services are also available when requested. 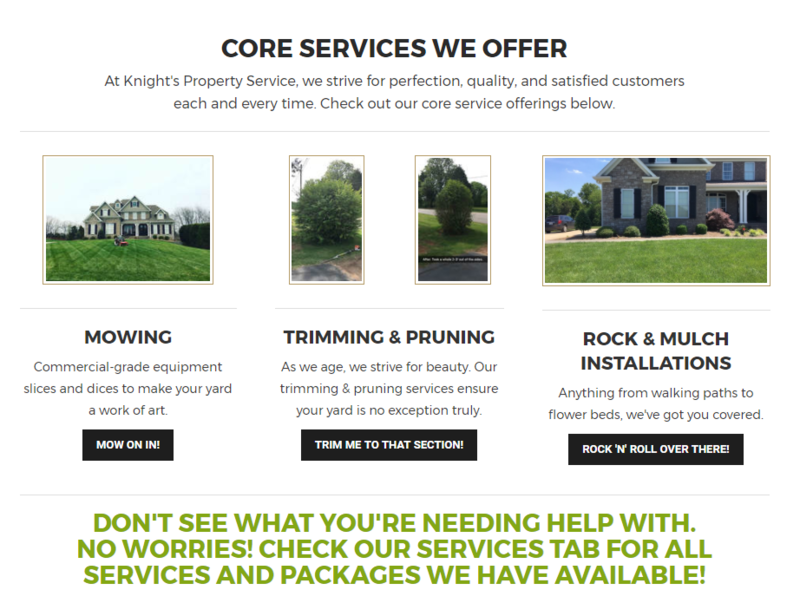 We are proud to do a major upgrade to their website to showcase their business to the world. 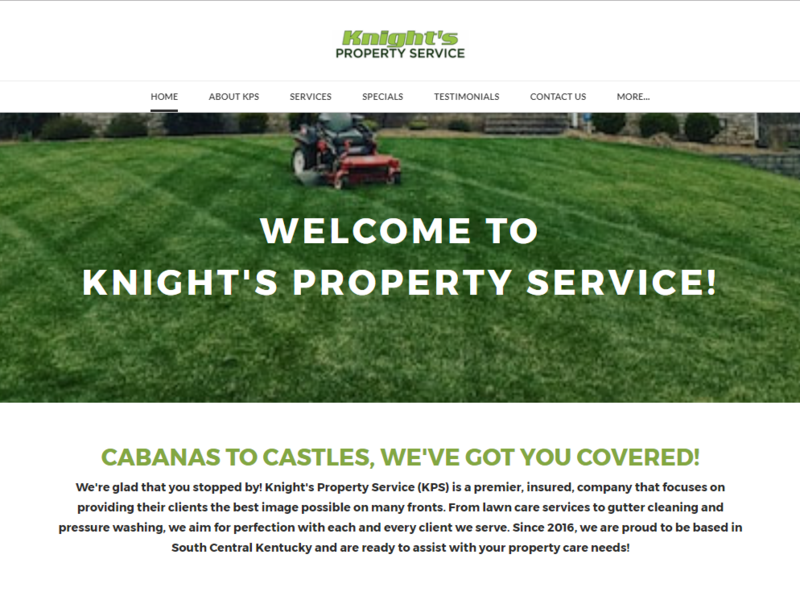 Knight's Property Service is a full-service lawn care and property service located in the heart of Bowling Green, Kentucky. 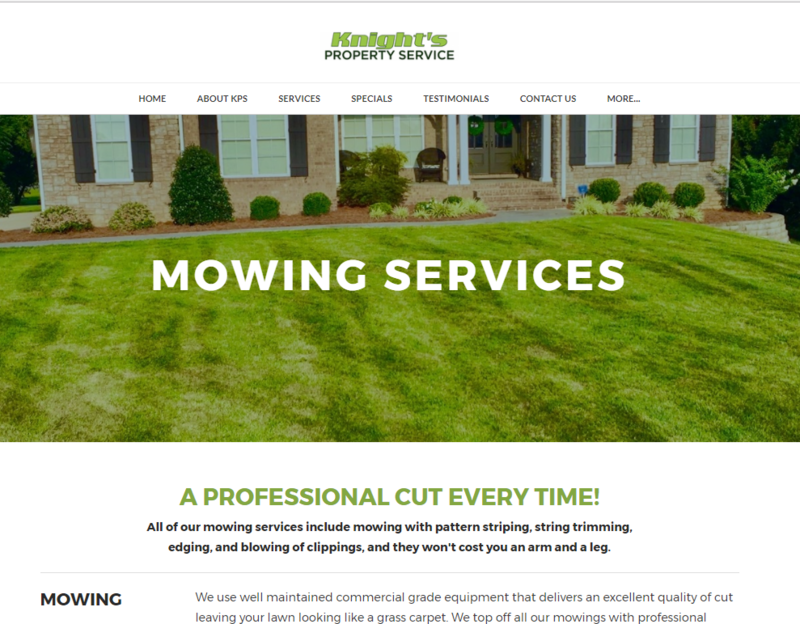 Services they provide include mowing services, trimming, pruning, landscaping, mulching, seasonal services, and much more. This is the newest client to the Trovinger Services family. Mitech Partners, LLC is a one-stop shop, order, and support experience that provides internet, phone, television, and IT services through their partnership network of more than 50 vendors. 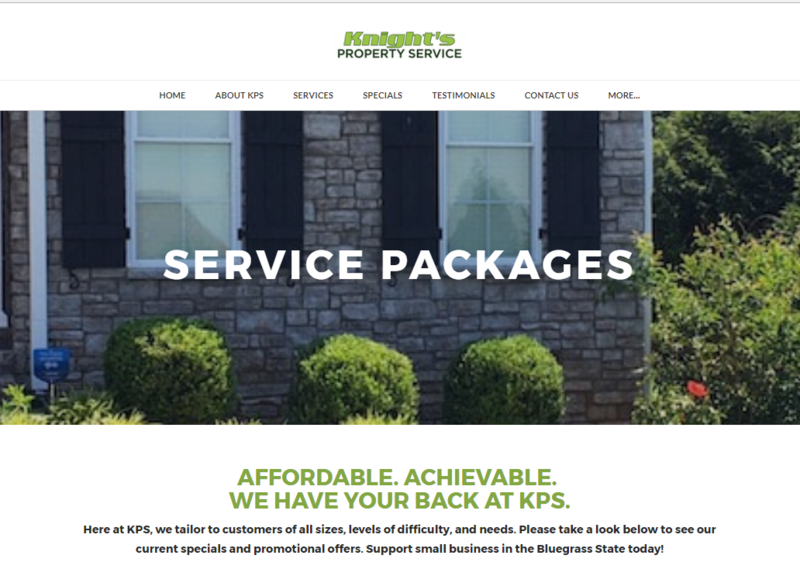 Established in 2013 as a minority-owned small business, their goal is to take the hassle of managing these services and put them into one bill with one phone number for support. This ongoing project is an intranet site which will serve as the home for all content applicable to the operation of the business. Note that most parts of the site are password protected per agreement..
* This is a website that was built as part of an employment agreement. The website sample provided is a showcase of skills. Mitech Partners, LLC is a one-stop shop, order, and support experience that provides internet, phone, television, and IT services through their partnership network of more than 50 vendors. This website was built to offer an online portal for clients to order voice over internet protocol (VOIP) telephone and internet services from the comfort of their own home. This online e-commerce shop has approximately 30 items total (including variables of products) and is fully-functional to take payments and complete transactions within the site. 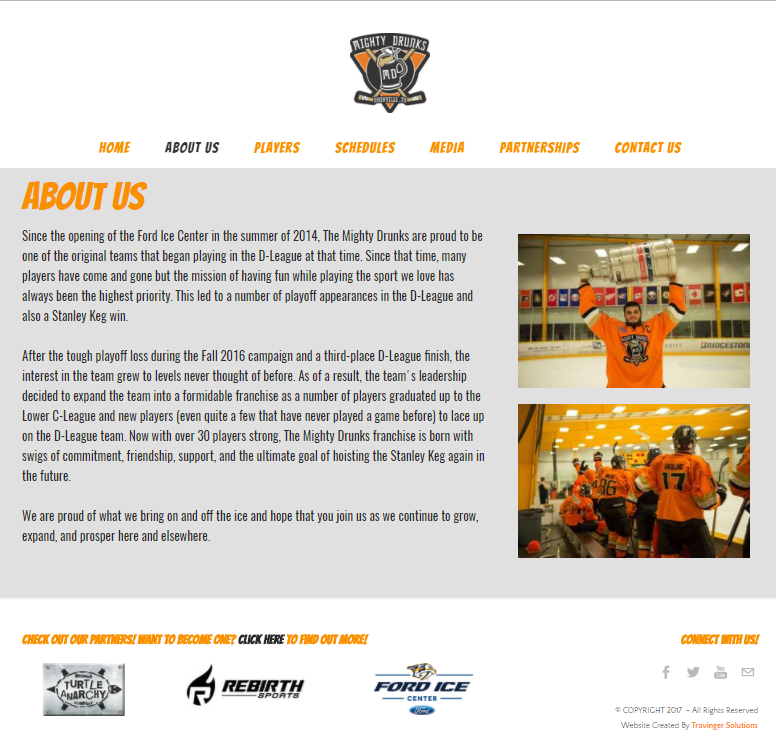 This website was made through the Weebly platform. * This is a prototype website that was built as part of an employment agreement. The website sample provided is a showcase of skills. 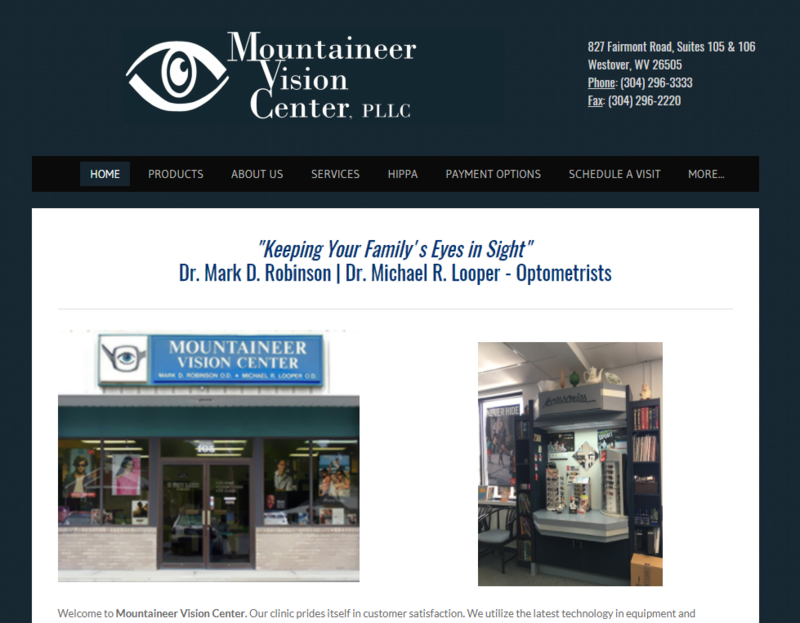 Mountaineer Vision Center, PLLC is a premier optometrist office fully staffed to take care of your eyes in a number of ways. 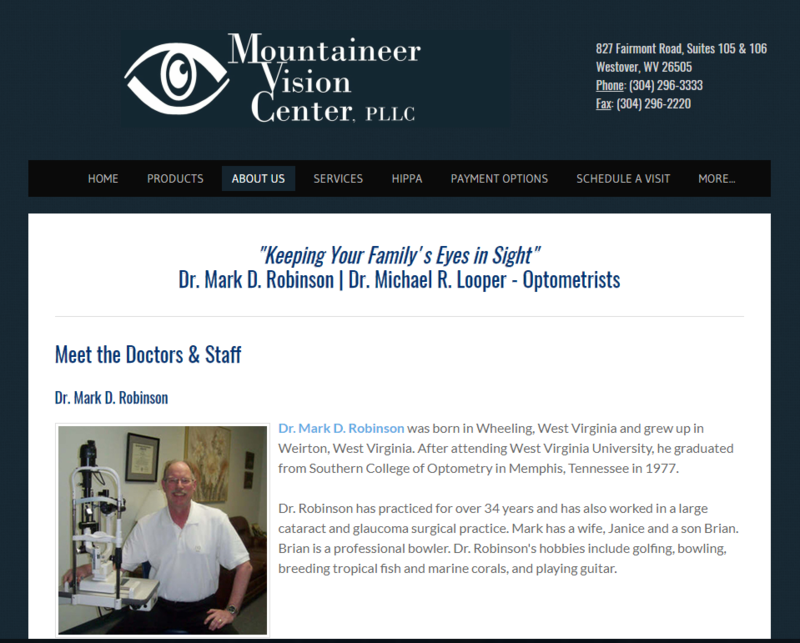 Being in practice since 1994, they have helped thousands of patients in the Morgantown, WV and surrounding areas. 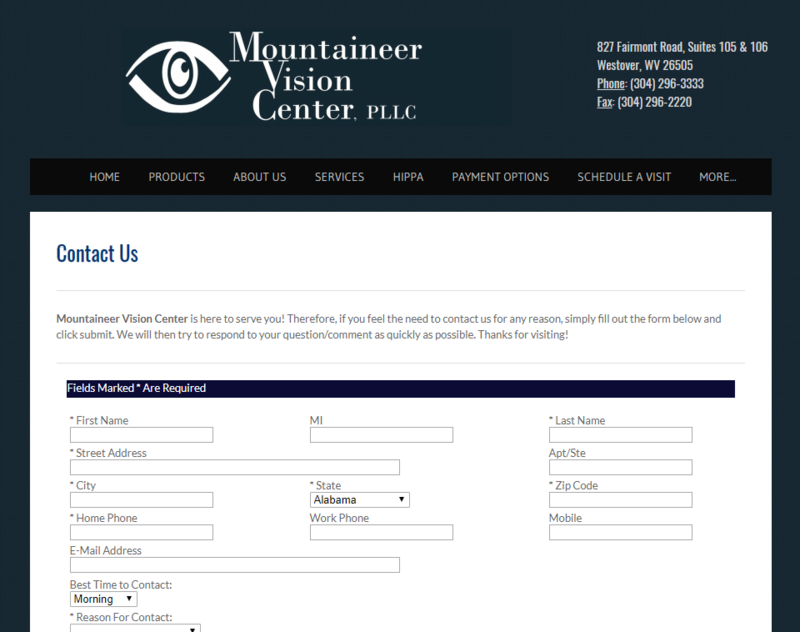 They specialize in contact lenses, prescription and sunglasses, and fashion eyewear. 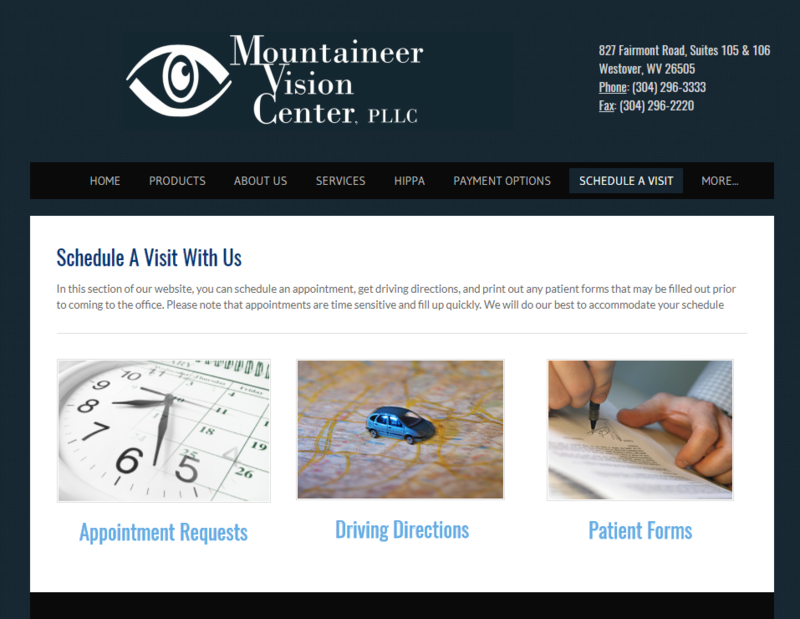 * This was one of the first commercial websites done by Mr. Trovinger prior to the start of Document Doctors, LLC and is proud to become a part of the family. He was the webmaster from mid-2009 until January 2019. As part of building relationships with vendors, we also take time to ensure they have the best websites possible to showcase their goods and services. Being our first international client, the expectations were set higher than others we have done in the past. This firm specializes in secure online storage solutions for both businesses and families. We are proud to showcase this freshly-built e-commerce site to all to enjoy and see. ​Check out the website here. Rudy Professional Services provides real-estate services to the greater Nashville, TN area as well as Northern Alabama, Colorado, Florida, all of Tennessee, and South Carolina. Their goal is to aid in first-time home buyers and seasoned purchasers alike with the in's and out's of buying and selling property. They are also proud to be a certified HUD broker. 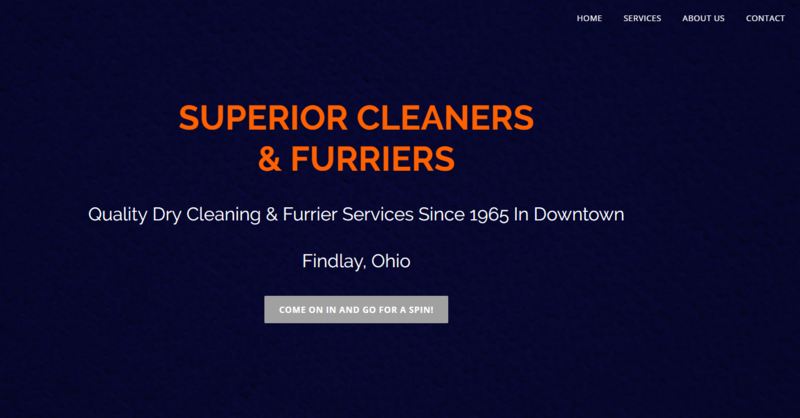 Superior Cleaners & Furriers is Findlay, Ohio's premier dry cleaner facility located right in the hear of downtown. Just steps from the Marathon Oil World Headquarters and the all-to-known Wilson's Hamburg joint, they provide a number of dry cleaning services for both residential and commercial customers. They are also provide equestrian ride wear services to the University of Findlay. * This was the first website done for a client in the state of Ohio and is now proud to become a part of the Document Doctors, LLC Family. The site was originally developed at the start of 2016.. 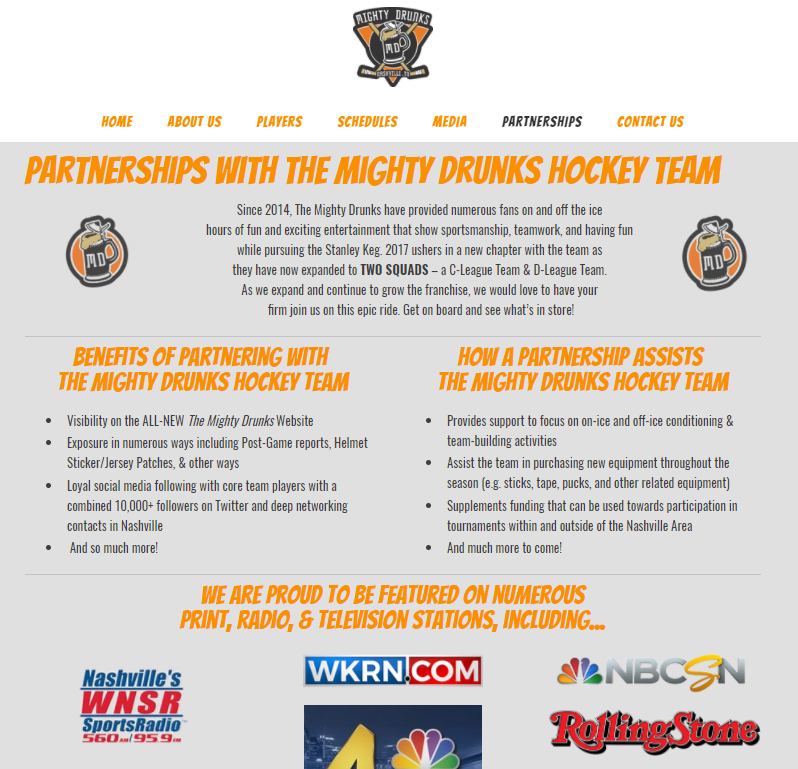 The Mighty Drunks is one of the original four (4) D-League teams to hit the ice at Ford Ice Center since it opened in late 2014. Since that time, they have expanded to have a C-League and D-League team with nearly 30 players between them representing the brand. They have been recognized by local and national media outlets including Rolling Stone magazine, NBCSN, and more. The West Virginia Women's Bowling Association (WVWBA) has been providing a central location for all female bowlers regardless of age and skill level to come together to enjoy the sport of bowling for more than 70 years. This website is a one-stop shop for scholarship information for youth female bowlers, tournament information, bowling center locations that are associated with the WVWBA, and more. 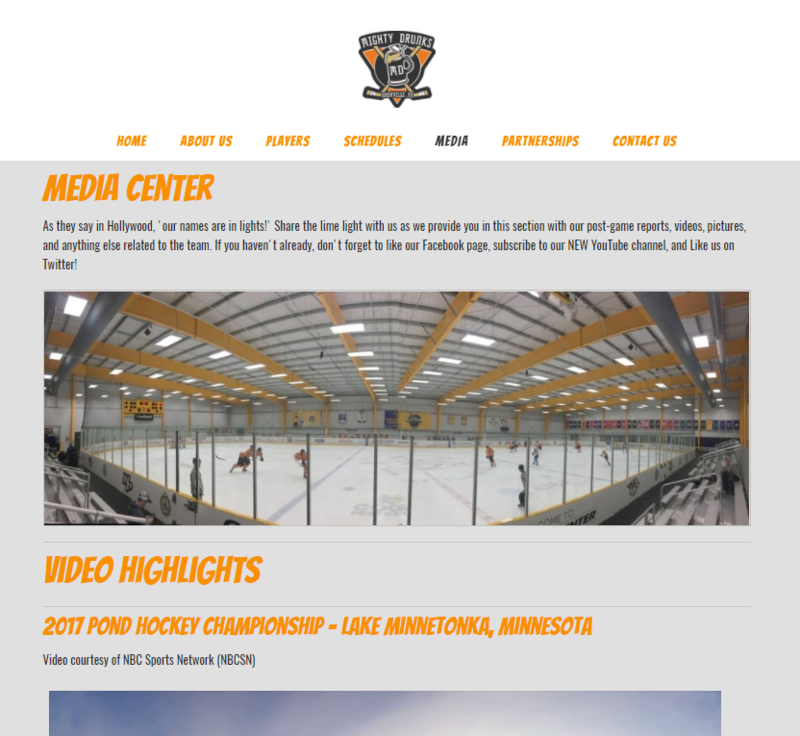 * This was one of the first sports association websites done by Mr. Trovinger prior to the start of Document Doctors, LLC and is proud to become a part of the family. He has been the webmaster for the site since mid-2009 and provides all website updates at no charge as a way to give back to the community. organization can be part of the portfolio sample!